Over the past two months, TechYukon has been carrying out a research effort, looking to gather information to help its members and the general public get a better understanding of the pros and cons, and the knowns and unknowns, of the two currently proposed options for a second fibre optic gateway to the outside world—north to Inuvik, or west to Skagway. The purpose of this research is not necessarily to arrive at an organizational position on this decision for TechYukon, but to help us, and our member companies, engage in a more informed way in the decision process. The final decision, quite properly, resides with the territorial and federal governments, who are going to be the primary funders of the undertaking; but the local technology sector owes it to itself to be an active participant in that decision process. We are, after all, likely to be one of the economic sectors most directly affected by the decision. To date, TechYukon has met with the ministers of Economic Development and Highways and Public Works, the director of the Technology and Telecommunications Development Directorate, the Alaska Power and Telephone company, and IrisTel. Other meetings will go on over the coming few weeks, before we begin work on a report of your informational findings. If you are a member of a company which might have substantive information to share with us, or if you know of one such company, we encourage you to contact our executive director at [email protected]. Our objective is to have a public report ready by mid-November—though unforeseen developments in the research or the government decision process may affect that timing. As a part of the project, we are also reaching out to local businesses and the public for their input on their experience of Internet service in the Yukon, and their needs and expectations in terms of the future of internet service in the territory. The general public survey can be found here. 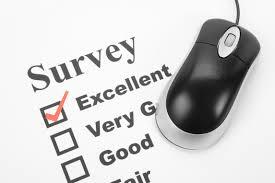 The business survey can be found here. We wish to stress that the information you provide in either of these service will be handled confidentially. We will not make public any results that could be compromising to the anonymity of any person or company. We encourage you to participate in this survey, and to get the word out to others that it is underway.